Let's face it. Many of us hardly think of buying winter tyres until we see the first snow flakes drop. Installing them helps you drive with confidence on snow and ice. And knowing how to choose the safest winter wheels in the coming season can make a huge difference in making driving during winter a bearable chore or a nightmare. Differentiate between winter and summer tyres. Summer tyres are good for the warmer months, but they won't offer the traction, braking, and handling capabilities you need during snowy, wet, or icy conditions. Winter tyres are graded. Look for the symbol of snow or a snowflake to make sure that you are getting the right ones. Mud and snow tyres are not meant to cope with the rigours of a winter weather including snow, ice, and slushes. 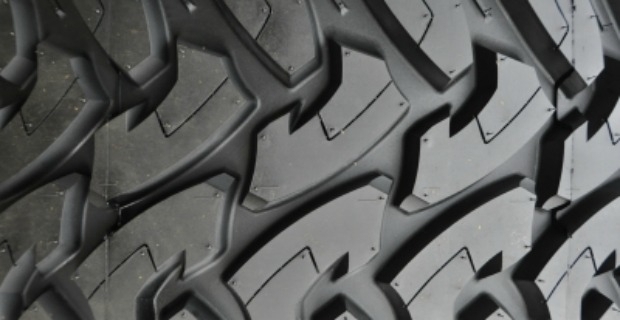 Tread pattern should be at least 3 cms in depth. Winter tyres have more grooves, are made from specialised materials preventing water and ice from accumulating. Treading has a major purpose: to improve surface grip and allow water to escape or disperse, helping prevent the car from aquaplaning. Braking and cornering also affect wear and tear of tyres. Buy winter tyres and rims together to ensure a good fit, eliminate the hassle of removing them, and paying for balancing when switching from summer to winter tyres or vice-versa. Some models to consider are Continental's ContiWinterContact TS830P, Dunlop's SP Winterspot SD, Goodyear Ultra Performance 2, Pirelli Sottozero Serie II, and Michelin's Alpin A4. Make sure that tyres are approved by a legislating body. Inform insurance providers that you are installing winter tyres by a professional dealer. Get familiar with laws in your country and where you are driving, where it might be obligatory to fit winter wheels. Other countries may require fitting of snow chains while others ban them as they destroy the surface of roads. Having winter tyres does not guarantee that you won't ever skid or spin. Check the tyre pressure and condition regularly, keep decent distances when driving on snowy or icy conditions, test brakes, and use precautionary measures in cases of adverse weather conditions. Note that from November 2012, all tyres sold in the EU will adhere to a new labelling directive. Make sure you know how to read the labels on winter tyres you are buying which include fuel efficiency, carbon emissions, and noise levels.